Growin' A Home - On Road 18: So what’s up with the Cecil’s you ask? So what’s up with the Cecil’s you ask? So maybe you weren’t asking yourselves “what’s up with the Cecil’s” but they thought they would tell you anyway. You may or may not recall but a little over a year ago many of you joined Jake and Colleen in Chico for their Wedding Day over the 4th of July holiday in 2008. It was the perfect day and they are so blessed that so many of you were there to share it with them. Thank you again! Well hard to believe but it has been a year already. Where did it go? Colleen has traditionally written a holiday letter each December but last year she was still recovering from the wedding and to make a long story of excuses short, the holiday letter never got done. Oh well. So Colleen thought, “Why not write a one-year anniversary letter?” Corny maybe, but she has a little more time and energy today than she will come this December. When they are not working they do try and make time for family and friends and of course the much needed get-a-ways to the Peppermill Casino in Reno. It’s the Peppermill’s fault - they keep sending these free room offers and it would be unfortunate if they went to waste! Jake and Colleen have probably only went two or maybe three times over the past year but with Reno only being three hours away, it’s a nice way to escape the everyday drama that is their lives. Jake did have the opportunity to go to Utah this year with a friend on an Elk hunting trip and Colleen keeps active with California Women for Agriculture (CWA) where she is the Northern District Director for the statewide volunteer group. Jake thinks CWA meetings are just female get-to-together’s and while yes we do the normal girls things (eating, shopping and enjoying great friendships from around the state) we do promote and educate consumers, children and legislators on the importance of California Agriculture. To celebrate their one-year anniversary Jake and Colleen traveled to Brookings Oregon for a week of NOTHING but relaxing. The weather was cool and foggy, the fresh seafood was yummy and the view from the condo was spectacular. Jake and Colleen figured they better make it a good trip since it is the last one they will take by themselves for a while since they will welcome Baby Cecil in January of 2010. This little bit of exciting news is the other reason for the Summer letter since December will be spent preparing for the new arrival. Well that is about all for now. 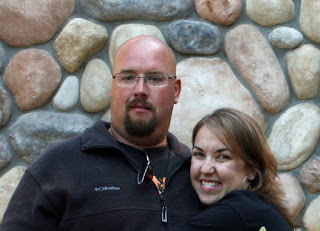 You can stay in tune with what’s going on by visiting the Cecil family blog at http://www.jakeandcolleen.blogspot.com/. You can also contact them by email or look us up on Facebook. Even Jake has gotten into the Facebook craze! And if you plan on being in Northern California, please stop by! There is still one spare room now that a Baby Nursery is being decorated! Coming Soon - Baby Cecil!